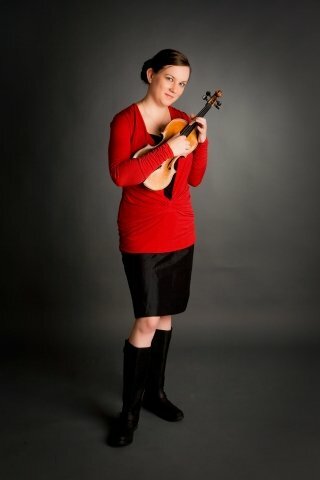 Irish-American violinist Paula is a first violinist with the Royal Liverpool Philharmonic Orchestra, under the direction of Chief Conductor Vasily Petrenko. Prior to Liverpool, Paula studied with Detlef Hahn at the Guildhall School of Music & Drama, where she received her M.Mus in Orchestral Training. Paula has also performed and recorded with the London Symphony Orchestra and other orchestras in the UK and USA. Paula began playing chamber music at the age of eleven at Falmouth’s Soundfest Chamber Music Festival. After many years as a student with the Festival, she joined the faculty in 2009 and the next year was appointed Managing Director. Paula’s deep love for chamber music led her to the first violin chair in the Rosseels Quartet, the endowed Graduate Quartet of the University of Michigan, while still an undergraduate, and more recently she performed chamber music to high acclaim at the Astona International Music Festival in Switzerland. Paula was a member of a harpsichord/violin/cello trio based at the University of Michigan (UM), Trio d’Avignon and was a featured soloist in a performance of the complete Brandenburg Concertos at the UM Museum of Art. Other recent solo engagements include Vivaldi’s “Summer” and a recital of solo Bach. Listen to audio clips on my website by Googling "Paula ". Former students are now pursuing performance degrees at prestigious music schools such as Indiana University and Boston University. My teaching philosophy is to help each of my students realize his or her own abilities as a violinist, a musician, and a human being. I never try to make my students copy my playing; rather, I help them to overcome technical barriers and encourage them discover their own interpretations. If you are interested in having lessons or chamber music coaching in Liverpool, England, please email me at **E-mail Address Removed** for further information and rates. 'My son, a college freshman, has studied violin with Paula during the summers when possible for the past 6-7 years. He has also studied with Boston's best teachers, who have decades of experience, but would prefer to study with Paula if she were available year-round. My son admires Paula for both her musicality and her impeccable technical skills. In lessons, Paula is able to recognize what is holding her students back and knows how to effectively fix the problem. My son says "I get a ton out of Paula's lessons. I can always hear myself improve by the end of my lesson." Paula keeps lessons focused and productive. My son also credits Paula with inspiring him to practice, something that no other teacher has been able to do. "Whenever I left Paula's lessons I wanted to go home and practice," he says.